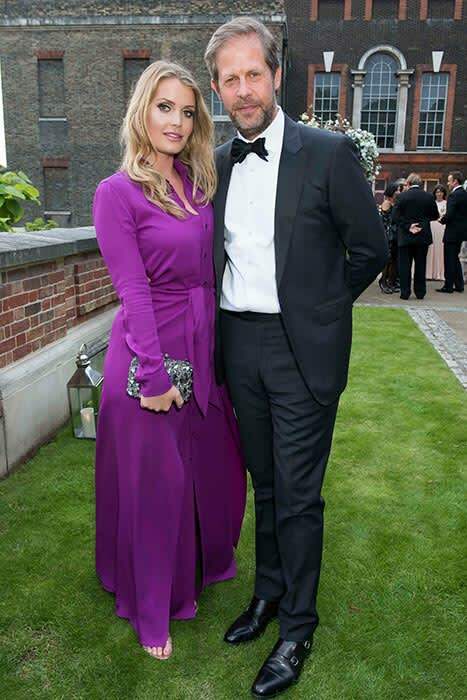 Lady Kitty Spencer, 25, is belle of the ball at Kensington Palace party with boyfriend Niccolò, 45 | HELLO! Lady Kitty Spencer made a glamorous return to Kensington Palace for a star-studded party on Thursday evening. The 25-year-old looked stunning in a vibrant purple gown as she arrived at the Historic Royal Palaces Kensington Palace Summer Party on the arm of her boyfriend Niccolò Barattieri di San Pietro, 45. Kitty, who is Princess Diana's niece, turned heads in a long sleeved shirt dress, which featured a flattering waist tie detail. She wore her long blonde hair down in loose curls and added a dazzling finishing touch with an embellished clutch bag. The pretty blonde attended the party with her partner Niccolò, who looked dapper in a tuxedo and bow tie. The couple, who have dated for over two years, looked happy as they mingled with guests including Demi Moore and Sam Taylor-Johnson.